Rentokil Insectrol Flea Spray is a fast-acting flea killing aerosol that is ideal for the treatment of fleas in hard-to-reach areas. Rentokil Insectrol Flea Spray is a highly effective flea killer which as well as delivering a fast knockdown of fleas, also offers extended flea control as it leaves a long-lasting insecticidal residue that remains effective for a number of weeks. This Spray is a powerful aerosol lacquer that is excellent for blasting hard-to-reach areas, where eggs can often be found harbouring, for example between tiles and floorboards and in other cracks and crevices. 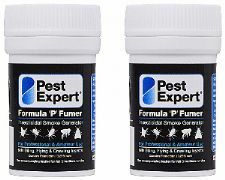 Contains the active ingredients permethrin (0.46%w/w) and d-Allethrin (0.13%w/w). Direct spray into cracks and crevices – i.e. gaps between tiles, floorboards and skirting boards, around the edges of the room. Not suitable for direct application to carpets. For a more comprehensive treatment, we recommend using Insectrol Spray in conjunction with our other products such as Pest Expert Formula 'C' Flea Spray, Rentokil Insectrol Flea Powder and Formula 'P' Flea Bombs. Highly recommended are our Flea Kits which contain a combination of our best pest control products and offer excellent value for money.